An in-depth rock climbing self rescue course taught by AMGA certified rock guides who will teach you the world-standard in how to perform self-rescue on rock and get an injured partner off a multi-pitch rock climb. 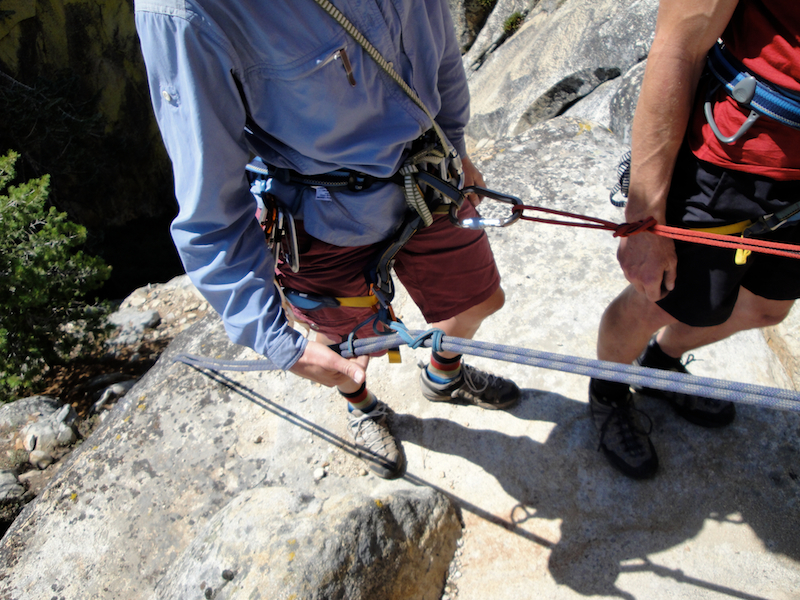 This is valuable knowledge for rock climbers who are venturing on to multi-pitch rock climbs. We begin with a quick review of all the knots, rock anchor building and protection placement. We then move on to teaching all the components of rock self-rescue. If you master everything taught in this rescue course, you should be able to handle just about any emergency situation you will find on a multi pitch rock climb. We put it all together at the end of the course in a scenario on the rock that includes everything you've learned.